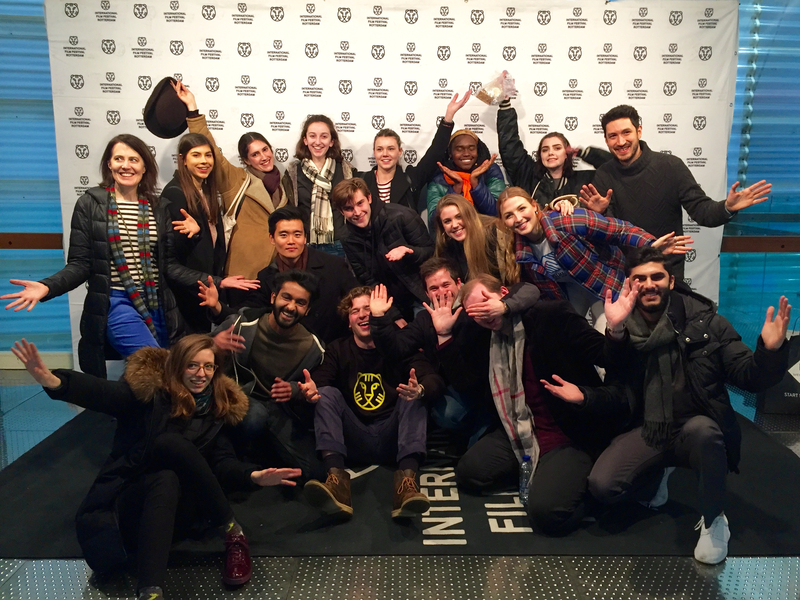 An inside look at the Rotterdam Film Festival study trip. Beware of incoming and inclement weather when you’re running a marathon. My marathon was in Rotterdam for the Film Festival study trip. Rotterdam in winter taught me that long jeans, the expensive pair of mittens I found in a lobby, and a warm puffed up parka can’t protect you from the harsh winds blasting in from the North Sea. Head to toe and ears to nose; everything becomes icicles. For the future students or film lovers who wish to attend next year’s Rotterdam Film Festival circuit, don’t let this precaution discourage you. This year’s circuit was run by two erudites of film: Marie Reagan and Valerio Colandanto. 'Circuit' is really the word to press upon. Among the trip’s many remarkable moments was Ms. Regan’s recurring five-minute debriefs and breakdowns, taking place early in the morning. On the last day, time was crucial. It became a race to see how quickly the group could head to the next two screenings before sprinting back to the hostel in time to catch the last light-rail to the Rotterdam Centraal Station. An eye-sore to read, even more stressful to do. If you imagine yourself as someone who likes the fast pace, Q&A’s from professionals in the industry, and insights on how to best break into film then I suggest you take a second look at your schedule for the end of next January. The films on our itinerary were all 'odd,' yet intellectually stimulating. Projects like retiring Slovakian filmmaker Jan Svanighmajer’s Insect, Shireen Seno’s sophomoric film Nervous Translation, or a series of five short films screened under the name Speaking in Tongues made me rewire how far I thought a director could push or exaggerate elements of film. These films aim to hyper-reveal. Whether it be Svanighmajer's hyper-surrealist message of Insect or Seno’s pseudo-documentary spin on a young women’s heart-warming journey to relocate her Korean identity in Nervous Translation. Other highlights from the trip, outside of the films, were the nightly after-parties. It was almost assigned for us, students, to attend as a chance to 'socialize' with the festival's elites: pitch a film idea, talk scripts, sycophantically praise a nearby film programmer, and the like. Yet all that happened was a lot of dancing to antique funk music-- in line with my tastes-- and indulging in the Netherlands’ finest Heineken dark beer. The cherry on top of that moment was when both Marie and Valerio busted out some stellar moves on the dance floor decorated to a disco-fever-eqsue setup. Not a sight for sore eyes at all. The film circuit was all that it promised it would be: a great opportunity to get a practical sense of both film producing and the socializing that inherently goes along with it. Yet, from the first day, the neo-digital cityscape of Rotterdam led me to more pleasant surprises. First, I want to say, if you end up going to Rotterdam regardless of purpose go to the music nightclub, Bar. Yes, its name is Bar, don’t ask me why, I am far from Dutch. The address is Deiftsestraa 3, 3013 Rotterdam, Netherlands; go if you can. A small group of us went there instead of the first night's after party. We went back to the hostel and met up with the employees. We made acquaintances thanks to an AUP friend, Holly, who was also staying there apart from the study trip; it seems that the random and friendly all were on the same dimly lit sidewalk, where bicycles sat for miles down a starry street. Later into the night, the impulse to dance struck ahead of the drunken chatter (thank god). Typically, I am prejudiced against all techno-house music. And Rotterdam looked too futuristic and cosmopolitan for me to avoid nightmarish visions of rubbish synth-crazed people; the likes you might readily find in Prague. However, I was swept away by the booming drum and bass and twinkling motif sounds of digital wind chimes. If I was not so sensitive to dark beer and mojitos, I would have taken down the DJ’s name and this piece would, instead, have been a boiler room music review. Still, it was an electric night and when music brushes and vibrates through you like the first jolt of a rollercoaster, you know your top is coming off. 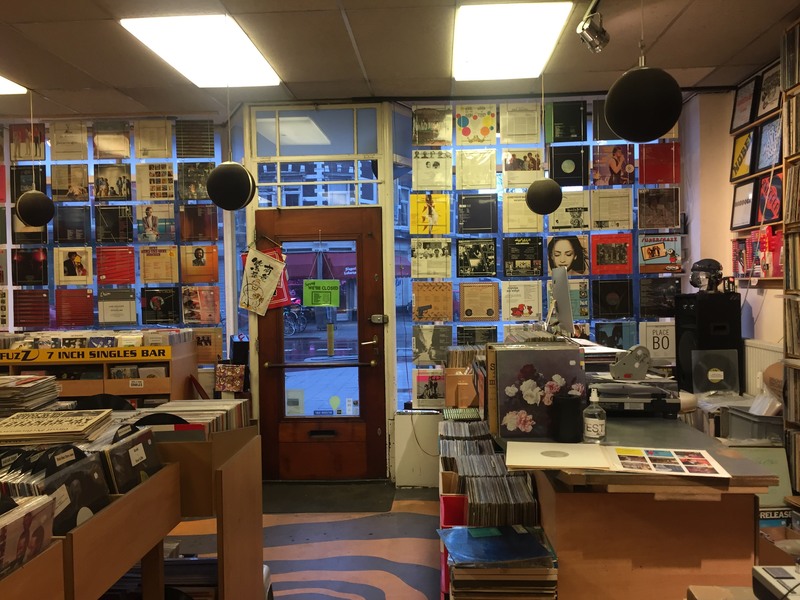 Lastly, I must give my ears to the people at Demon Fuzz Records for letting me play around in their field of vinyls, LPs, and discs. 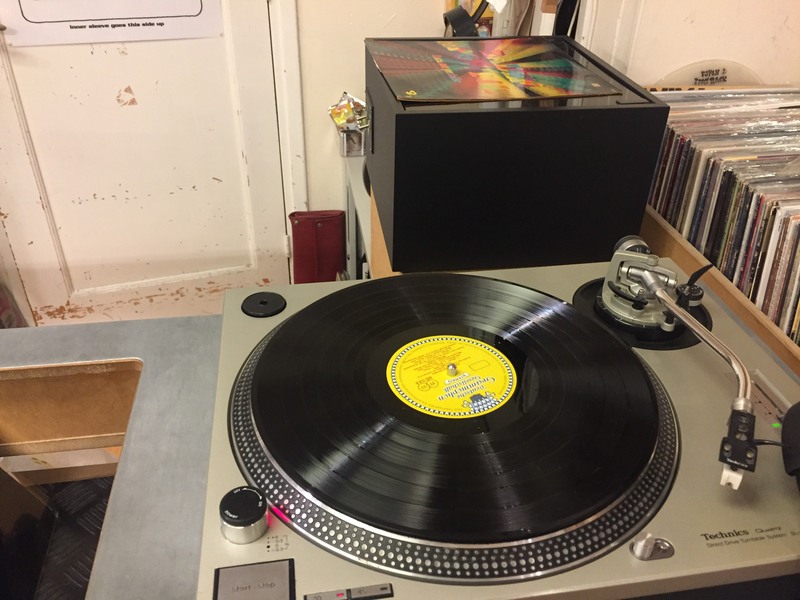 I thank them for the free-use record player; I spent an hour and a half listening to the bests bits of over ten vinyls. Also took myself home a keeper, Black Sun’s Chariot of Fire album, a LP which is hard to find outside of its vinyl format. From the head-bobbing jazz pianist Dave Brubeck to the boom bap style of Slum Villages’s album Fantastic Vol.2 I went. This record store that I stumbled upon allowed me to escape the fast-paced atmosphere and loosen down with some proper tunes. If you decide to go to the Rotterdam study trip, take every scheduled break as an opportunity to discover all of the hidden gems that the town has to offer. Every hour spent outside--even in the piercing cold-- is just as significant as watching amazing and intriguing films, meeting accomplished filmmakers, and attending once-in-a-lifetime Q&A sessions. Born and raised in Boulder, Colorado. but moved around Montreal and Paris all of her childhood. She is a junior at AUP and loves to dance, write, and sing. She currently studying Communications and Film. Her specialization is content analysis in both fields at the American University of Paris. Imani also enjoys reviewing original music.